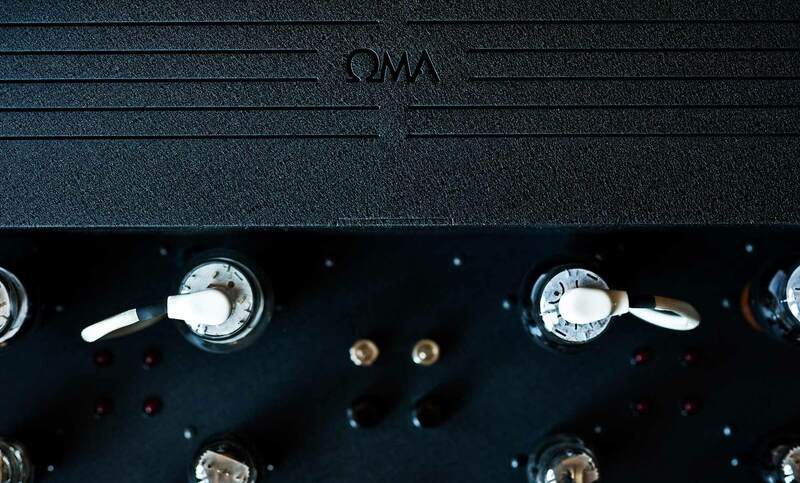 The OMA Black Knight amplifier is our only push pull amplifier, using the 807 transmitting tube connected in triode mode. 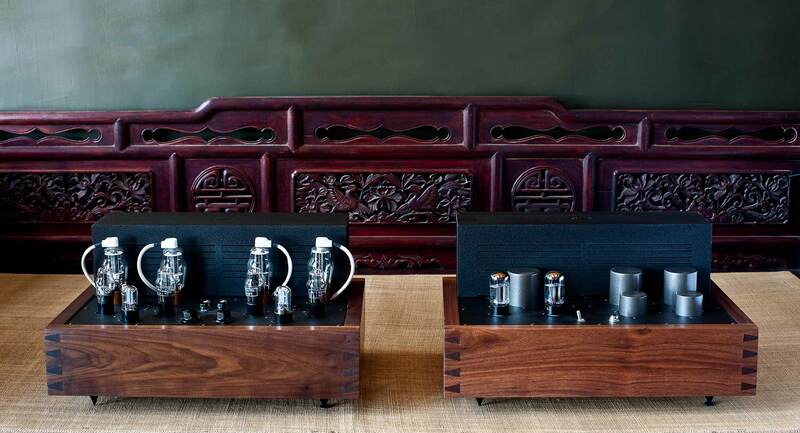 This dual chassis design, as with all OMA amplifiers, separates signal and power supply on separate and very substantial chassis, using thick steel plates in black wrinkle finish powder coat and solid walnut, hand built frames with dovetail joinery. Properly employed, the 807 tube is an astonishing performer, as is the 6J5 type triodes utilized in the input and driver stages. One can use a very wide variety of tube types in this family, none of which are used by other manufacturers, which means that NOS (new old stock) tubes at very low cost can be employed and the sound tailored to taste. The Black Knight requires no preamplifier, and can be driven to full output by the OMA PD1 or other phono stage, or by digital sources such as CD players or DAC's. 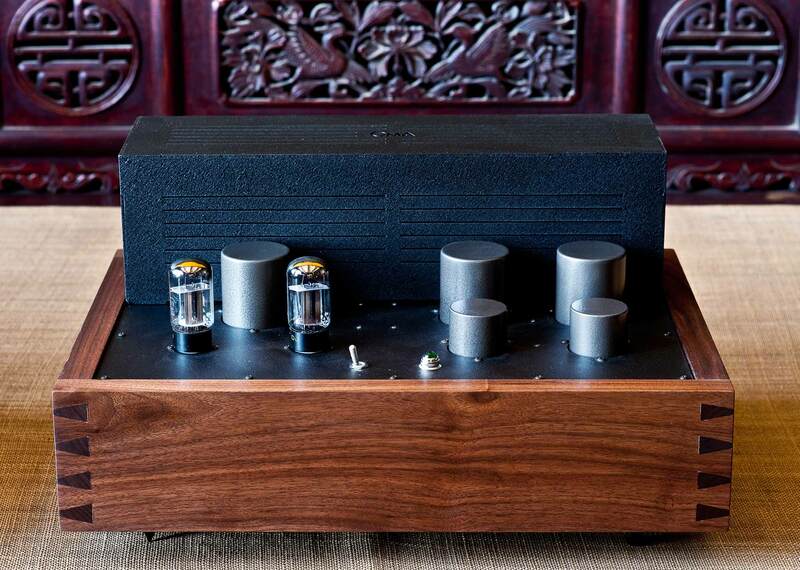 Both volume and source selection are controlled by phenolic knobs on the amplifiers. A sophisticated LED system allows biasing of tubes by visual means without resort to meters or other external devices. 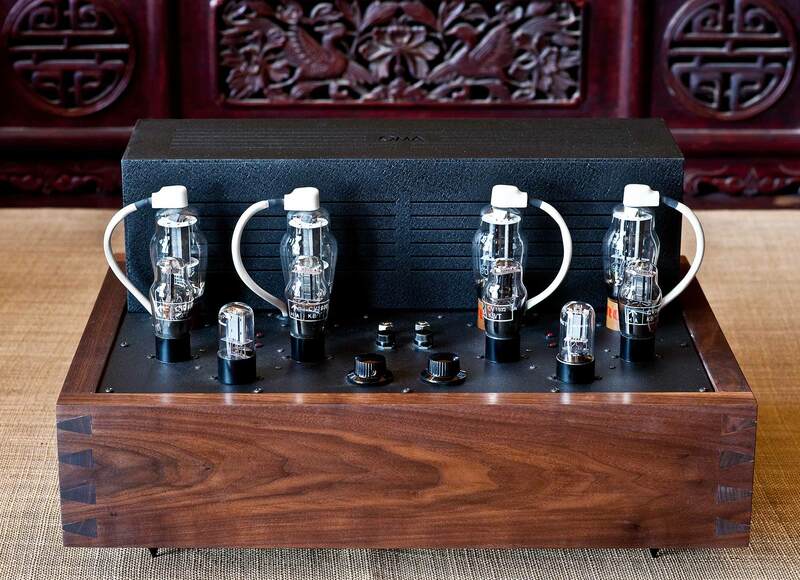 The Black Knight produces 10 watts at full power, with extremely low distortion and a sonic profile which makes virtually all other tube amplifiers seem colored in comparison. Dimensions W 22" x D 16" x H 12"